Some of you might remember, way back, when I first made a mouse this size? If not, you can see the original post on flickr from 2011 here. I changed the ears but kept everything else the same. Never crocheted before? Are you just learning? To make it easier on the beginner I made a video tutorial. In that tutorial I use yarn and a bigger hook so that you can see the stitches easier. I called that one, Pocket Mouse. It's much bigger but is the exact same pattern as this Micro Mouse. You can use the videos from that one to follow along. assemble the mouse. See videos below. 1 package of embroidery floss and a 2mm hook will make the same Micro Mouse you see in the photo above. You can use any thread or yarn and any size hook you want to try. There is a written pattern, it's free and is found here. 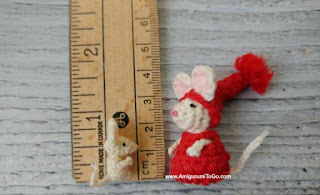 Using your thread and hook size of choice, make the ears, the head, and the body, the same as found in the Pocket Mouse pattern here. Then use the videos below to assemble your Micro Mouse! Yes, you can make this even smaller if you want to give it a try. I made this super micro mouse with punch embroidery thread and a .75mm hook, however, punch thread breaks easy so I would suggest a different thread. 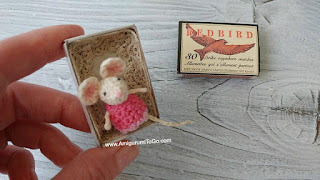 I hope you enjoyed the pattern and the video. 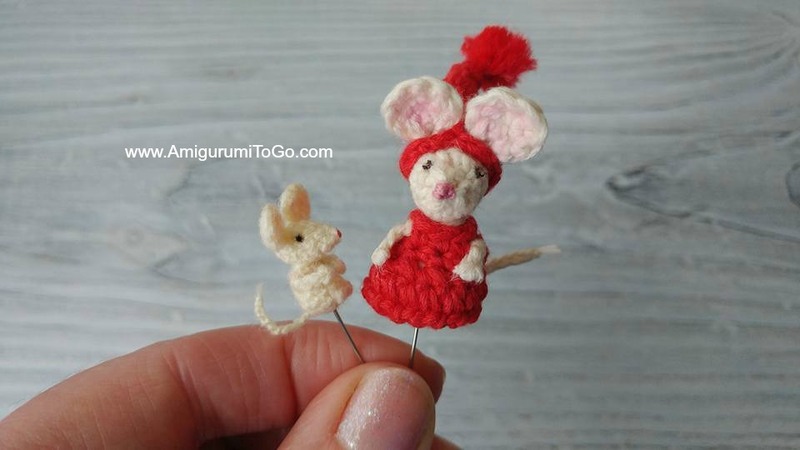 Please post pictures of your finished mouse on my facebook page, Amigurumi Freely, I'd love to see!